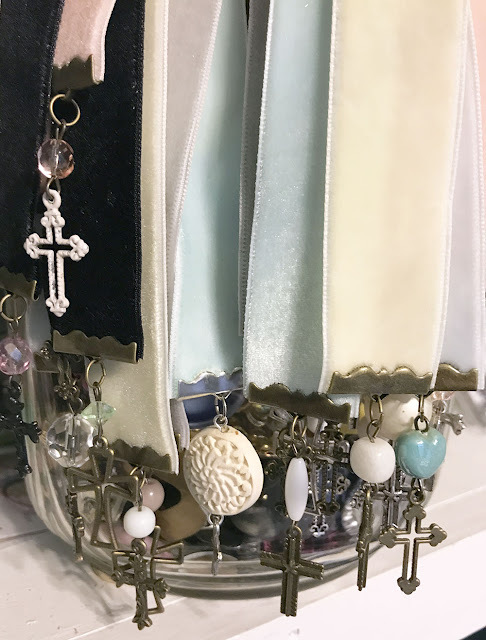 A few weeks ago, a friend asked if I could make velvet ribbon bookmarks for her booth in an antique mall. The process was surprisingly simple. It really came down to finding velvet ribbon and ribbon crimps. I had the rest of the supplies needed: charms, beads, jump rings, and eye/head pins on hand. It was so easy, I made a quick video to show you the process. Since I was making these for a client with special requests, I stuck to the color scheme, metal, and charm type that she requested. But, depending on your own preferences, you can go in any direction with this project. 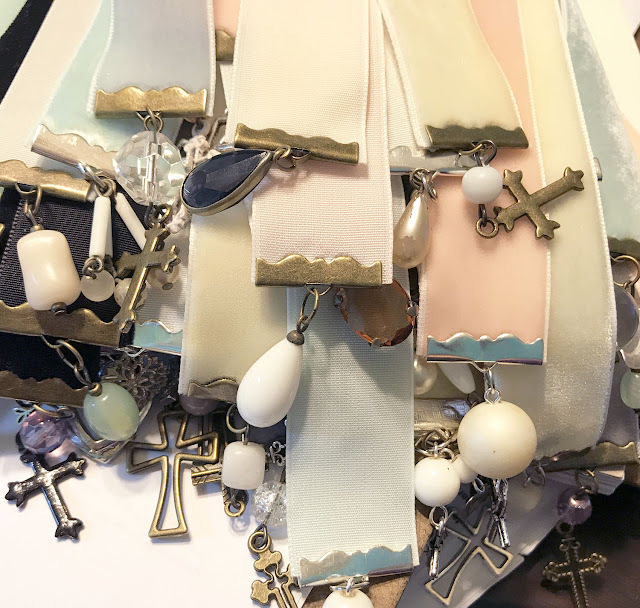 If you live in the area, you can find some of these for sale in the Cozi booth at the Daphne Antique Galleria at 1699 US-98, Daphne, AL 36526. And, to learn more about my friend Kim, you can find her blog at CoziNest. 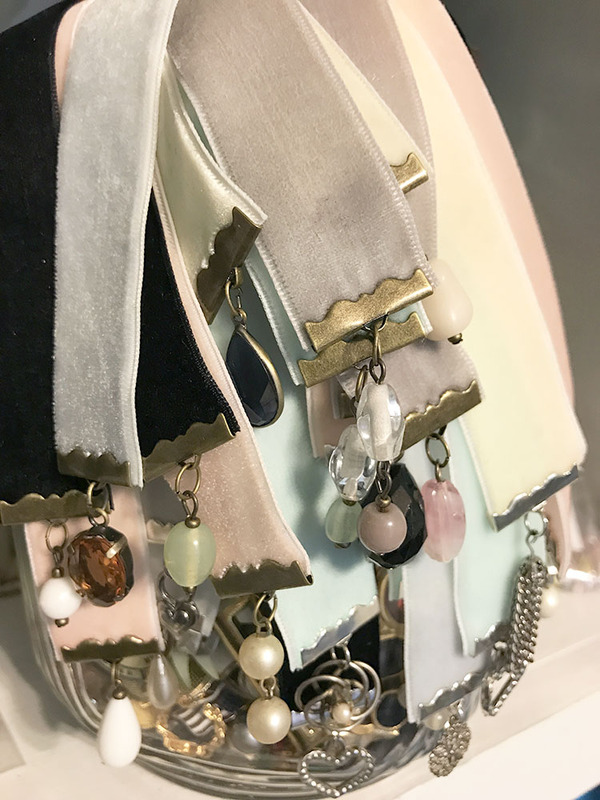 These bookmarks work as a great little gift, a decor accent for a stack of books on your shelf, or even as a tool to mark the place you stopped in the book you're reading! 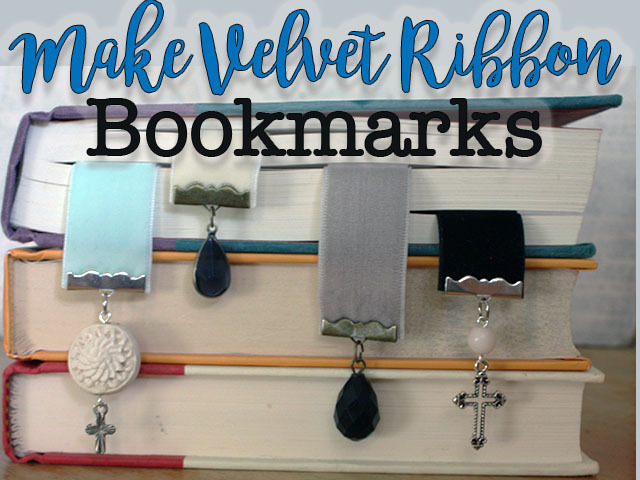 I'd love to know if you have any tips or questions about making your own velvet ribbon bookmarks. Just let me know below! I'm sharing this post on the DIY and Recipe Linky at The Sway, Talk of the Town at Knick of Time, Friday Frenzy at Trampling Rose, and Saturday Sparks Link Party at Pieced Pastimes. These are beautiful Hope. I bet they will be great sellers at the mall! Pinned! Thanks for sharing at Friday Frenzy! Aw, thank YOU for dropping by! !